oh stop! you will my head too big! Thanks! 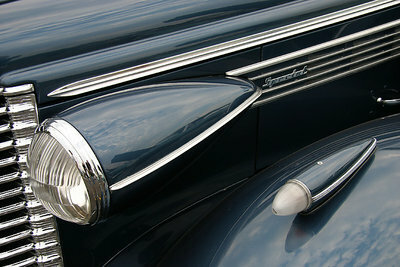 As an antique car buff, I enjoyed the Buick... great shot! there were moments where the clouds moved and the sun was too bright. luckily it wasn't that way the whole time. The sky looks perfect. It really adds alot to the shot. Classic lines in this automobile..excellent work! so clear, and congrats for the front page! Interesting close up! Very good composition and balanced light! VERY WELL DONE! !